Allen, Robert S.. "Fort Carlton". The Canadian Encyclopedia, 25 January 2017, Historica Canada. https://www.thecanadianencyclopedia.ca/en/article/fort-carlton. Accessed 19 April 2019. 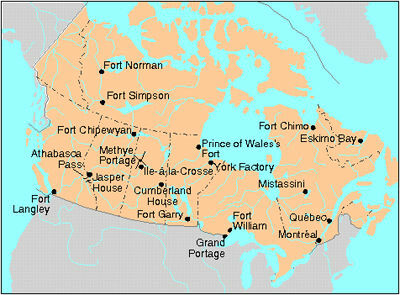 Fort Carlton, situated on the south branch of the North Saskatchewan River near Duck Lake (Saskatchewan), was established in 1810 as a Hudson's Bay Company fur trade and provision post. Initially called Carlton House, two previous posts had been located in the area in 1795 and 1804 before being abandoned permanently for the present location. Until 1882, Fort Carlton remained a particularly important fur-trade depot in western Canada. Near the site, Treaty 6 (1876) was signed between the Plains and Wood Cree and the Dominion government. In March 1885, during the North-West Rebellion, the post was destroyed by fire. At present, the partly reconstructed Fort Carlton is a Saskatchewan provincial historic park.